The Netherlands Development Organisation (SNV) has launched a campaign to build momentum for clean cooking in Ghana. 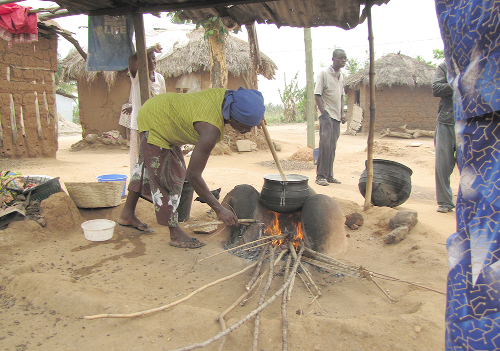 Dubbed ‘Strategic Support to the Clean Cooking Sector,’ it is aimed at supporting the government’s efforts to ensure about two million improved biomass stoves are used in homes, while attaining a 50 per cent penetration of cooking with Liquefied Petroleum Gas (LPG) by 2020 in both urban and rural areas. The SNV is investing an estimated €910,000 into the campaign between now and May 2018. It is also being supported by the German Development Cooperation (GIZ), the Global Alliance for Clean Stoves (GACC), the Ghana Alliance for Clean Cooking Stoves (GHACCO) and the Ministry of Energy as the implementing partners. Speaking at a launch and inception workshop in Accra, the Project Officer, Mr Alex Kwame Donyinah, said issues about clean cooking should be high on the agenda due to the problem of deforestation, indoor pollution and livelihoods which were under threat. He said the objective of the project was to support actors engaged in developing the clean cooking market in the country to create an enabling environment through strengthening GHACCO administration and operations. “It seeks to diversify GHACCO membership and scope to include LPG and rural woodstoves actors with the latter to be the focus of an additional market development programme and to developing a Market Innovation Facility (MIF) with strong linkages to key sector actors,” he said. “Going forward, a stronger, more effective and functional GHACCO is what we want to see; it should have its own secretariat where it can be accessed easily,” Mr Donyinah said. There is little attention on rural areas where half of Ghana’s population lives, and where cooking is still predominantly done on wood and where the rapid penetration of LPG, despite it being a policy objective, is likely to face many barriers. Data on cooking practices in Ghana shows about 30 per cent LPG penetration, partly overlapping with a 30 to 40 per cent penetration of charcoal stoves, approximately half of which are improved. Also, charcoal and woodstove market development in general seems to be hindered by a lack of access to finance and low levels of innovation. The campaign, therefore, focuses on clean cookstoves and fuels sector through the clean cooking stoves alliance to create rural woodstove and LPG markets. The Global Sector Energy Coordinator, SNV, Mr Wim J. van Nes, said cooking looked simple but had implications on health, livelihoods, deforestation, climate change, among others. To ensure clean cooking in Ghana, therefore, there was the need to find sustainable homegrown solutions. “We know the problem but we don’t have the solution, otherwise it would have been easy. I believe the only way it can work for Ghana is market based solution so people pay for what they use for clean cooking,” he said. The SNV has been doing a similar exercise in over 25 countries worldwide. “The government and civil society are needed to offer solutions. We need to offer solutions by Ghana for Ghana and in Ghana,” Mr van Nes said.